The Northern Light chef's new venture will be built from the ground up. Melburnians, when spring rolls around this year, you can expect to welcome in the warm weather with yakitori. Just when you thought the CBD couldn't fit in any more deliciousness, chef Adam Liston has announced he'll be building and opening a two-storey eatery in collaboration with The Hotel Windsor, combining Japanese, Korean and Chinese influences. Named Honcho, the eatery will squeeze into the now-vacant block of land between Rosa's Kitchen and Longrain on Punch Lane. Liston hinted at this plan back in February, when he closed his Smith Street yakitori bar, Northern Light. But it's only just now that he's let spill some of the details. Honcho's menu will have two main focuses. 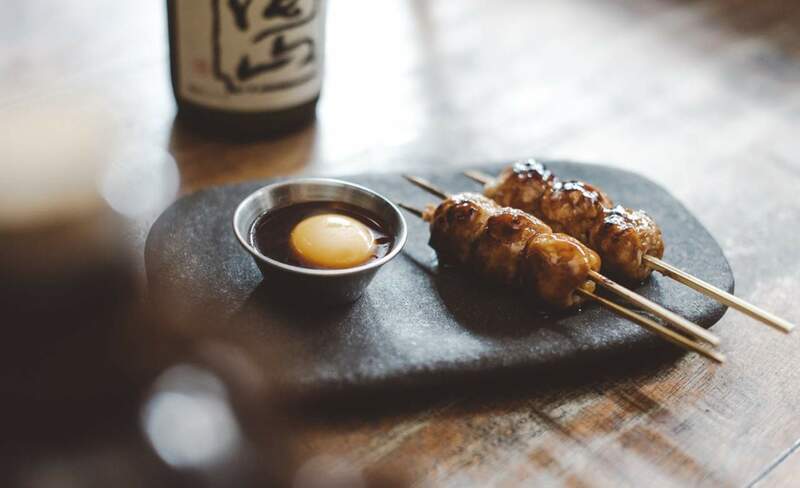 The first is yakitori (a moreish Japanese dish, involving chicken being placed on a skewer and then grilled to mouthwatering perfection), which will be cooked on an epic, custom-made grill. The second is seafood, to be served at a dedicated bar. According to Good Food, we can look forward to ocean trout sashimi with pickled ginger and saltbush, among other delicacies. Served up with such creations will be a handpicked selection of Japanese beers, sake and shochu. Mercifully, for those already set up in the area, drilling and hammering over winter will be kept to a minimum. The new building, designed by architect Kerstin Thompson, will be creating the building elsewhere, and then slid into place at 18 Punch Lane. Honcho is set to open in September. If you can't wait to get your Adam Liston fix, swing by The Windsor, where he'll be heading up a pop-up noodle bar from the beginning of June till the end of August. Keep an eye on the hotel's website for more details on that one.